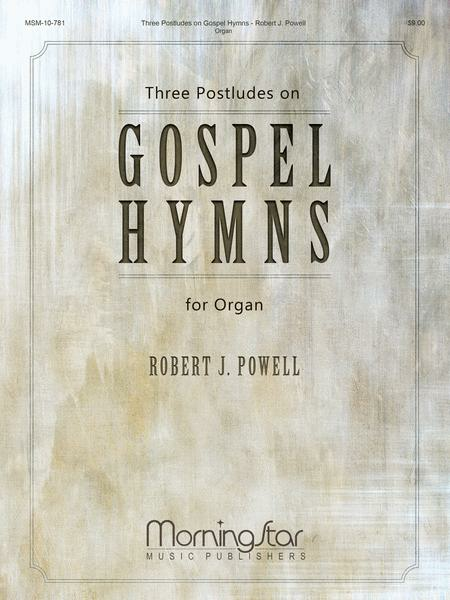 These Gospel hymn arrangements are upbeat and have a lively rhythm. Sometimes there is great benefit in playing a rousing rendition of a hymn that people simply like to hear, whether you might have sung that hymn that day or not! These three will fit the bill: TO GOD BE THE GLORY, MESSAGE ("We've a Story to Tell to the Nations"), and CHRIST AROSE ("Up from the Grave He Arose").